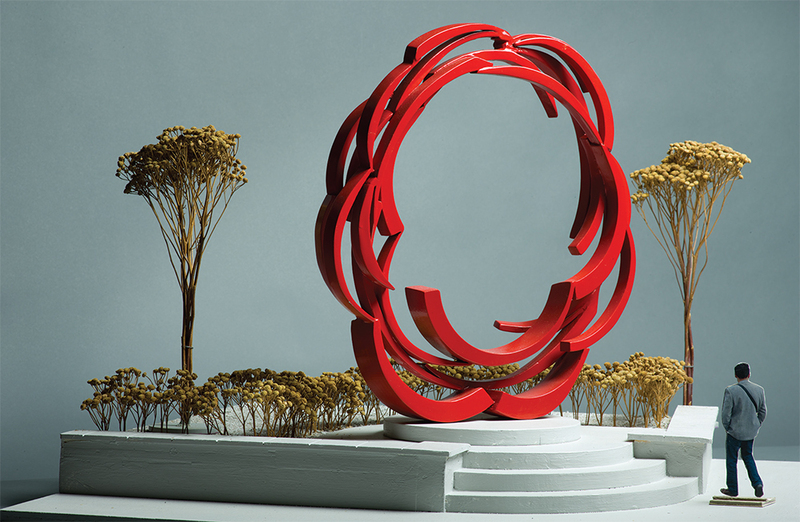 Edmonton – The Edmonton Arts Council and City of Edmonton unveiled the concepts for the three final public artworks that will be created for Rogers Place. 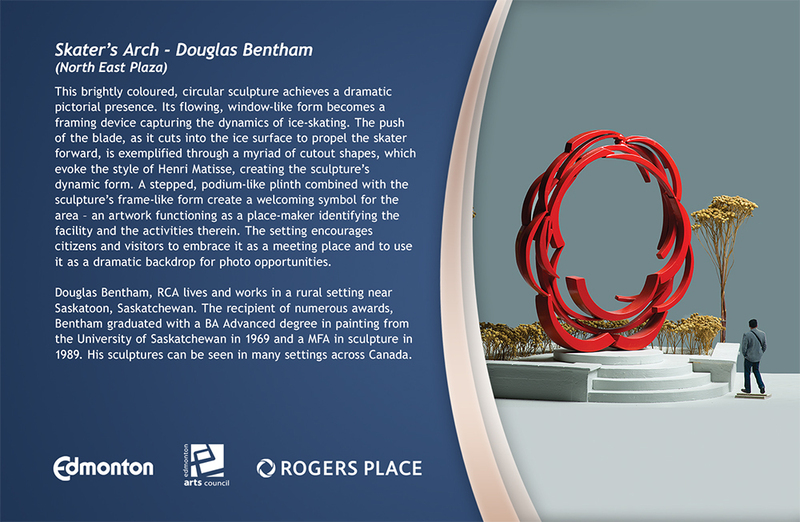 The pieces were selected through an international, national and local call for artists, and join the artwork by Alex Janvier announced earlier this year to complete the series of four pieces of public art for Rogers Place. 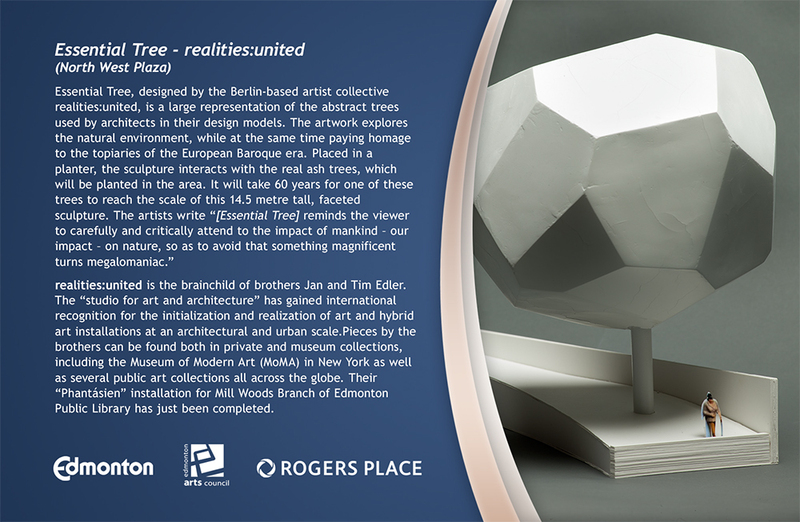 The three artworks are: Essential Tree by realties: united (Berlin), Skater’s Arch by Douglas Bentham (Saskatoon), and Figures in Motion by Al Henderson (Edmonton). 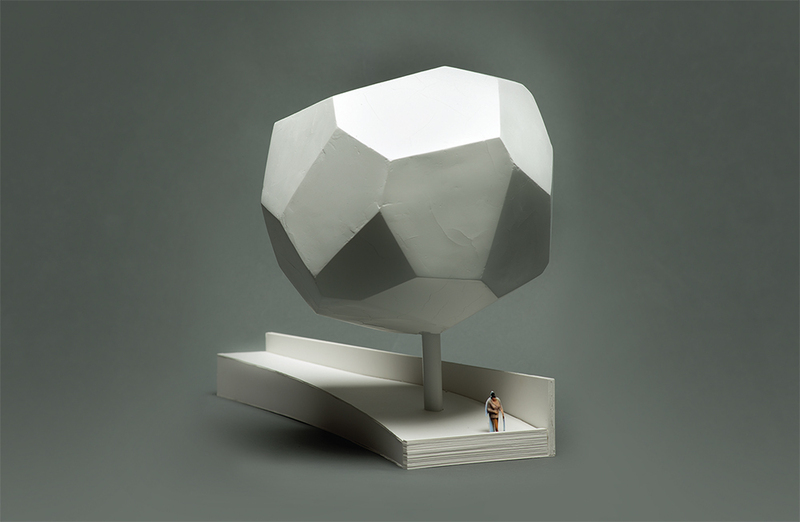 Installation of each artwork will be completed before Rogers Place opens fall 2016. 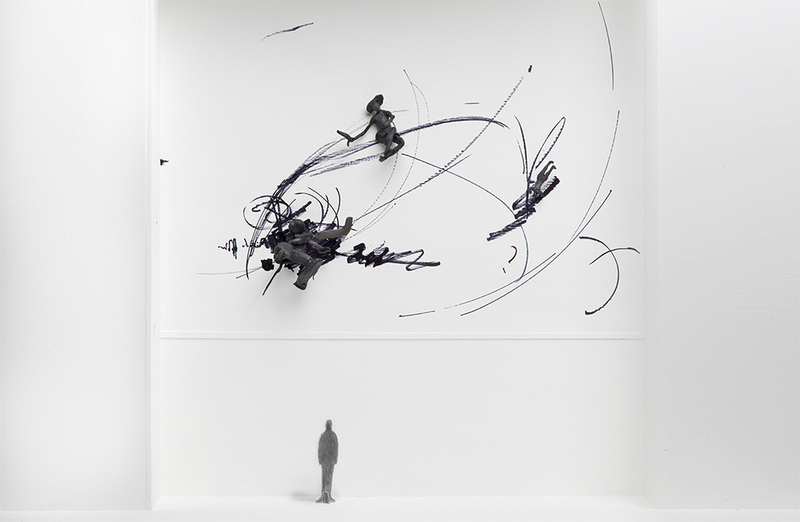 The total commission for the pieces are $500,000 for the international artwork Essential Tree, $300,000 for the national artwork Skater’s Arch and $100,000 for the local artwork Figures in Motion. All four major public art commissions for Rogers Place are part of the City of Edmonton’s Percent for Art policy, which dedicates one per cent of qualifying construction costs to acquiring public art in City infrastructure. 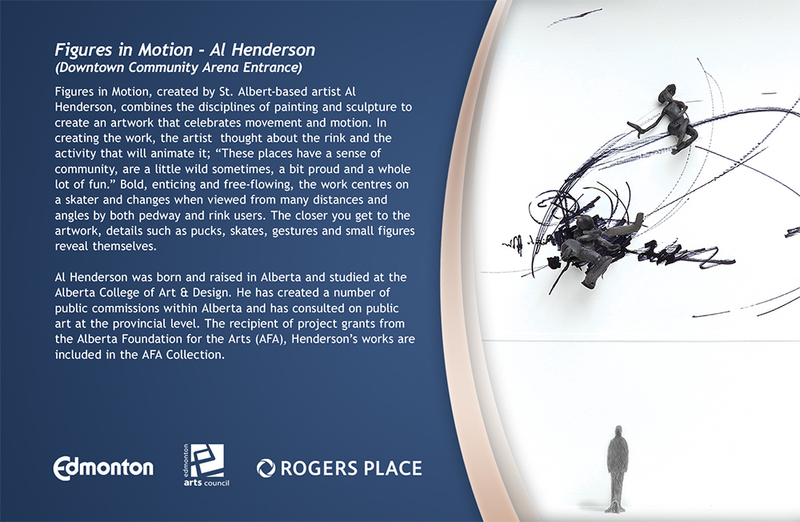 The Edmonton Arts Council manages the selection process, acquisition and conservation of Edmonton’s public art.